Kat Von D Everlasting Lip Liner Swatches | Top Beauty Blog in the Philippines covering Makeup Reviews, Swatches, Skincare and More! Hello, friends! 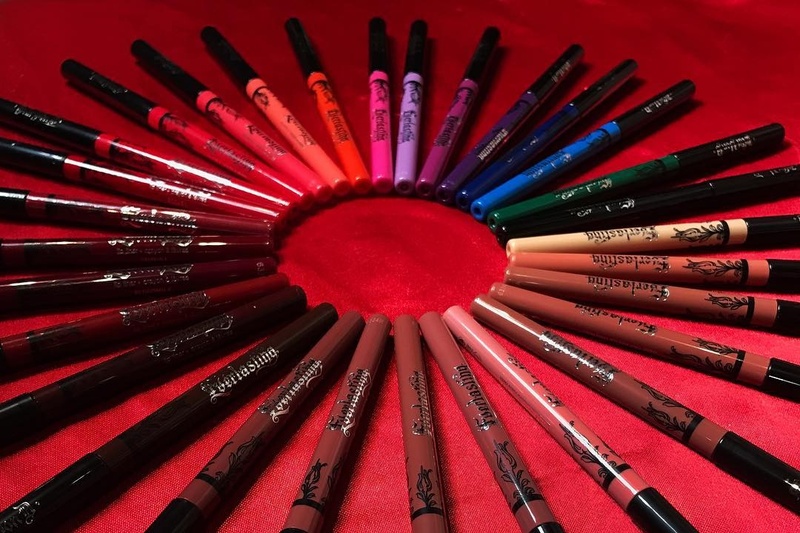 Here are the swatches of the new Kat Von D Everlasting Lip Liners. Available in 30 stunning colors these liners features a very creamy formula, intense pigment and 24 hour wear! Launching at sephora.com on 4/11! these shades are amazing...such intense colours!